As promised, I did a spot of intelligence gathering on my recent trip to Madrid, following the article on shoemaker Carmina. Here I decide where'll you'll stay and where to eat. I might even decide on the company you keep. Think of me as your mother. First of all, staying in the Salamanca district is best. Truth be told, you may not want to venture from the area, unless there's a new exhibition or some such. You might want to head to the Chueca district too. More of that later. Salamanca has everything you need for survival - good restaurants, shirtmakers, tailors, tobacconists and the wonderful Mallorca chain of cafes. 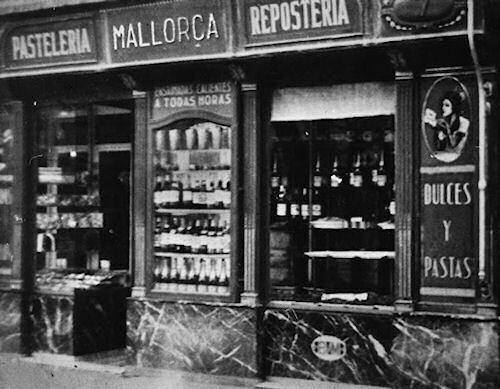 The first Mallorca cafe opened in 1931 in Madrid. In Salamanca, you'll find Mallorcas in Velazquez street and Serrano street filled with unapologetically bourgeois Madrileños - all quilted jackets and Cordovan loafers. Do Lavenham sell their classics in Salamanca? They should. Mallorca makes for an excellent place to take a rest, have a drink and a bite. I'm currently addicted to their tea-infused chocolates. Delicious. And look at the uniforms in the photos below. The men wear suits, with subtle Mallorca branding and colours, just to serve you a sandwich. 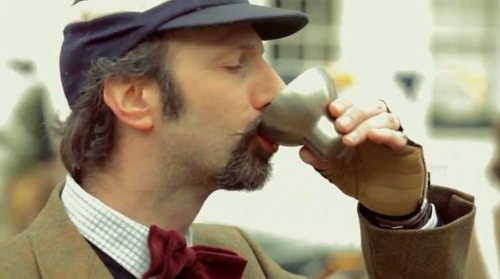 The sort of civilised world you naturally gravitate towards. If you're new to Madrid you may want to take a gander at the Plaza Mayor. Fair enough, but I'd say not to linger between there and Puerta del Sol. Think of the area as like Oxford Street and Leicester Square in London. Generally ghastly. Best avoided. People often say that the edgier parts of a city are more 'real', but I would counter by saying that the nicer parts of town are just as real, but nicer.